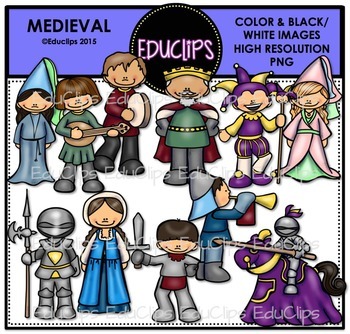 This is a set of medieval people and backgrounds. 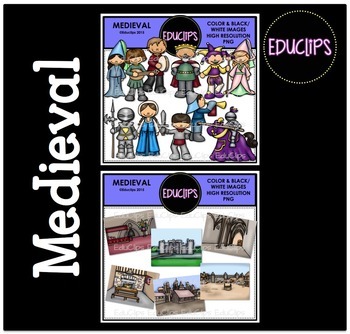 The set includes peasants, maiden, princess/queen, king, musicians, jester, knight, suit of armor and a knight jousting. 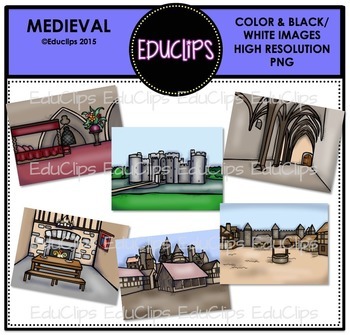 It also features images of a castle, a medieval village, a town, a great hall, kitchen and bed chamber.